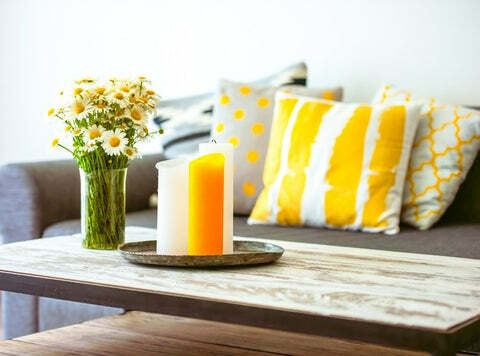 Cushions can collect dust, be the brunt of a midnight snack and collect body oils that leave them looking dull, unattractive and even stained in spots. To keep your cushion looking its best, you need to wash it. In same cases, this is an easy task. You simply unzip the case, remove the inner cushion and follow the cleaning instructions. Some will indicate dry clean only, while others may suggest hand washing or putting into the washing machine on low. If it has a zip, always close the zip before washing. If your cushion has ornate decoration sewn onto it, always use the most gentle possible choice. Remember, that doesn't mean you should take it to the cleaners, since some fabrics should only be washed and not cleaned. Silk or wool cases, on the other hand, should be dry cleaned. In other cases, it's far more difficult. If the cushion is sewn shut, you have a number of different choices depending on the type of cover and the filling. Many cushions can go directly into the wash, pad and all, but it's only to be used when you have no other options. Removing the pad if you have the option is always best. You can put them into the washer on a delicate cycle or hand wash them. Many cushions don't do well in the dryer, so check before you throw it into one. In most cases, allowing the cushion to drip dry first is the best option, then tossing them into the dryer to tumble only on a low heat setting fluffs them back into shape. Decorative cushions with lots of beads and ornaments, which don't have a removable cover, need to be handled quite differently. The thickness of the cushion requires a spin cycle to get rid of the excess water, but the delicacy of the ornamentation says no. You can keep them fresher looking longer by having them on seldom used chairs or away from the potential of body or hair oil contact. Hoovering these regularly with an upholstery attachment helps, just as it does with other cushions, but it has its limitations. At some point, even with the best possible care, an ornate cushion may begin to look tatty. Then it's time to get out your sewing equipment. Use a seam ripper to gently rip the seam on one side. Beads are easier because you can empty them from a small hole. Hand wash the cushion cover and stitch the area closed with a slip stitch. Putting new filling in at this time is also an option. 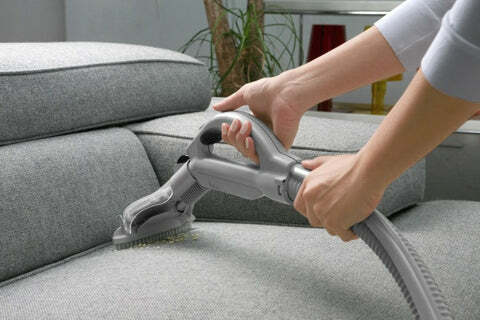 Frequent fluffing and hoovering is the best way to minimise the need to wash your cushions. Always note the cleaning instructions when purchasing and keep that information in your phone or on an index card so that it's close to hand when you need to remind yourself how to care and clean your cushions.